The location, venue, number of experiences and the nature of experiences can be adjusted based on your preferences. Some exclusive and budget friendly corporate travel experiences we provide are listed below. Whether you are looking for sustainable travel solutions or simply arranging community service for your guests who are interested in corporate social responsibility, we are here to help. 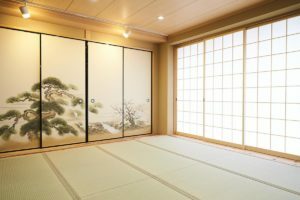 The activities we can arrange for you include but are not limited to -tea picking experiences (from April to September), rice planting experiences, visiting nursing homes and Japanese schools, visiting wild life conservatories, and arranging meetings with some volunteer organizations.This service is available in Kyoto, Osaka and Tokyo. Maikoya serves as a starting point and ending point. Maikoya acquires the City Passes in advance and hands them out in the morning. Maikoya staff checks the goals completed in the afternoon. Winning teams (the earliest 3 teams) get surprise gifts. All teams do a relaxing tea ceremony or any other activity at Maikoya after finish. This service is available in Kyoto, Osaka and Tokyo. We are an experience provider, not a travel agency but we are often asked for assistance from corporations regarding the transportation fo the guests to our venues or the activity venues. We are more than happy to introduce vetted transportation and lodging services for our corporate clients without any arrangement extra fees. This also eliminates the language barrier and local market comparison issues. This service is available in Kyoto, Osaka and Tokyo. 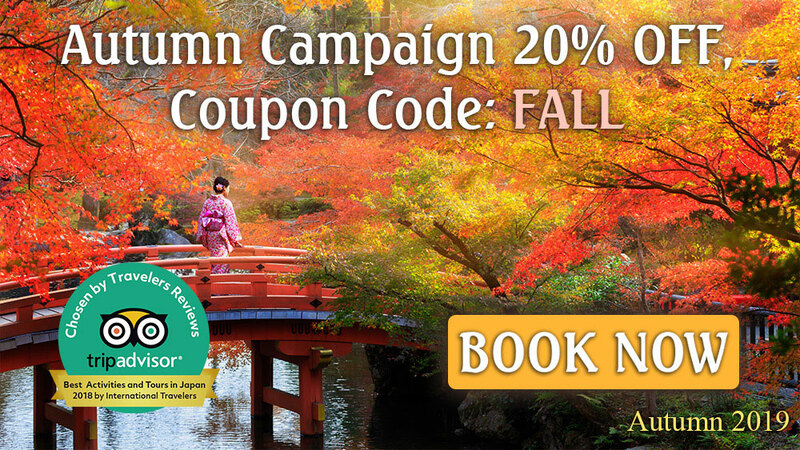 Our most demanded bus service is 1-DAY KYOTO CITY TOUR for professionals. This is not a typical boring lecture style workshop you’d expect. It is a brief and interactive workshop where participants get to know the basics of the way Japanese people think and practice business card exchange, greetings and bowing, pouring a drink at a restaurant and the Japanese way of disagreeing. This service is available in Kyoto, Osaka and Tokyo. For business executives or Incentive travelers, watching a show may be more appealing than joining an activity especially after a long day of visiting many shrines and temples. Maikoya would be ore than happy to arrange an engaging and culturally appealing show for your guests that will make their their travel to Japan unforgettable. This service is available in Kyoto, Osaka and Tokyo. Everyone loves sushi and everyone loves eating fresh sushi after a unique demonstration. How about a tuna cutting show where a huge blue fin tuna is cut into slices and freshly served to the audience. The sushi can’t get fresher than this. (Min. 100 guests). This service is available in Kyoto, Osaka and Tokyo. 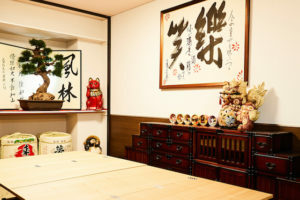 Tea ceremony (sado) is the most popular cultural activity for a reason. It not only teaches harmony and respect but also gives the participants an opportunity to glimpse into the world of zen and shinto (e.g. ritualistic purification). Maikoya has been rated as one of the top tea ceremony venues in Japan and we are more than happy to share this beautiful tradition with our guests from all over the world. We make this experience more special for corporate travelers by offering traditional chairs (the ryurei style) and also allow the highest ranking member to talk to the team after the ceremony is over. 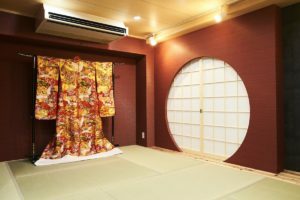 Whether it is yukata, hakama, samue or kimono we arrange the most convenient kimono wearing experiences for our male and female guests. With the lockers, complementary hairdos and staff cameramen, our guests truly enjoy this seamless experience which can be combined with any other activity groups choose. We know that the weather is sometimes too hot and too cold and our guests may not want to walk outside by wearing sandals. If requested we allow kimono wearing for only a group photo too. Unique team building solutions offered at our own venues or a hotel you wish to hold the event. We are the leader in team building events in Japan. Approximately 2000 jpy/per participant with the best price in the industry guarantee. This service is available in Kyoto, Osaka and Tokyo. Everyone learns how to make wagashi (or nerikiri), which is a traditional Japanese confectionary usually served with green tea. After each person learns the basics of making and shaping these treats, teams are given dough in three colors. The goal is to shape the confections into scenes that tell a story. The team with the most creative design wins. This service is available in Kyoto, Osaka and Tokyo. Teams are given fresh ingredients (pickles, crab slices, salmon slices, herbs and vinegar rice) and shown how to make a rolled sushi. Then teams compete making sushi rolls with the time limit. The judge selects the team that made the best shaped natural looking sushi. Then the teams enjoy having the delicious sushi they made. This service is available in Kyoto, Osaka and Tokyo. 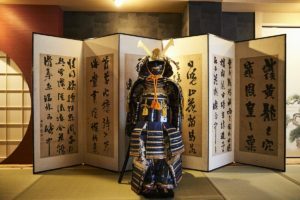 This activity takes place in Maikoya’s Samurai Museum located in Kyoto (near Nishiki Market) and the treasure hunt can be combined with the Nishiki Market. First, the guests take the tour about Japanese and samurai history then they have to answer certain questions as a team and then figure out a code as a team. This service is available in Kyoto. In this activity, team members can channel their inner ninja. The shuriken (throwing star) throw is a fun way for the teams to keep in mind the importance of staying on target. The teams take turns throwing their shuriken at a target. The team with the most points in the end wins. This service is available in Kyoto, Osaka and Tokyo. Taiko drums are a fun way to build team bonding and learn about Japanese culture. Generally, it costs a significant amount of money and time to train everyone with huge taiko drums. We use small taiko drums which still sound similar but cost way lower, easy to carry around and can be done with big teams. Each team member is given a taiko drum and teams that play the sample Japanese rhythms after a practice win the challenge. Teams are also given a chance to create their own team’s unique rhytm. This service is available in Kyoto, Osaka and Tokyo. This activity has 2 versions. In version I, we give you practical mawashi (sumo loincloth) that can be worn over the clothes and the sumo sensei (who is a past sumo wrestler) teaches the basics of sumo. Then the team leaders tackle against each other. In the version II, team leaders are given inflatable sumo costumes which allow them to tackle just like two giant sumo wrestlers. This service is available in Kyoto. The teams are given trays, sand, pebbles and stones after being informed about the zen philosophy and Japanese gardens. The team that makes the most aesthetically appealing garden tray wins the prize. This service is available in Kyoto, Osaka and Tokyo. Origami has been taught in Japanese schools to emphasize the importance of perseverance, focus, minimalism and Japanese aesthetics. We give each team the instructions and papers to make a surprise figure. Team members can only verbally help each other. The of which all members complete the origami task first wins the challenge. Although this sounds like an old fashioned team activity, so far it has been the most engaging. This activity also combines teamwork, time management and analytical thinking skills with the knowledge of Japanese landmarks. The teams can show the skill and coordination of their individual members during the ken-dama (cup and ball) activity. After some brief instructions and a demonstration by the Maikoya staff, members from each team compete to be the first to successfully perform a basic ken-dama move. Venue: We usually hold our activities in our own venues (Maikoya Osaka and Maikoya Kyoto) or at the hotels of our guests. For incentive travelers, large groups and groups traveling to Tokyo we use traditional ryokans, traditional hotels or traditional wedding mansions where we also serve open buffet + drinks. Organizing the event. The picture below shows the venue we used several times in Kansai and the buffet our guests enjoyed after the cultural activities. For large groups we do not charge any extra venue use fee. Please contact us for a quote at info@mai-ko.com.